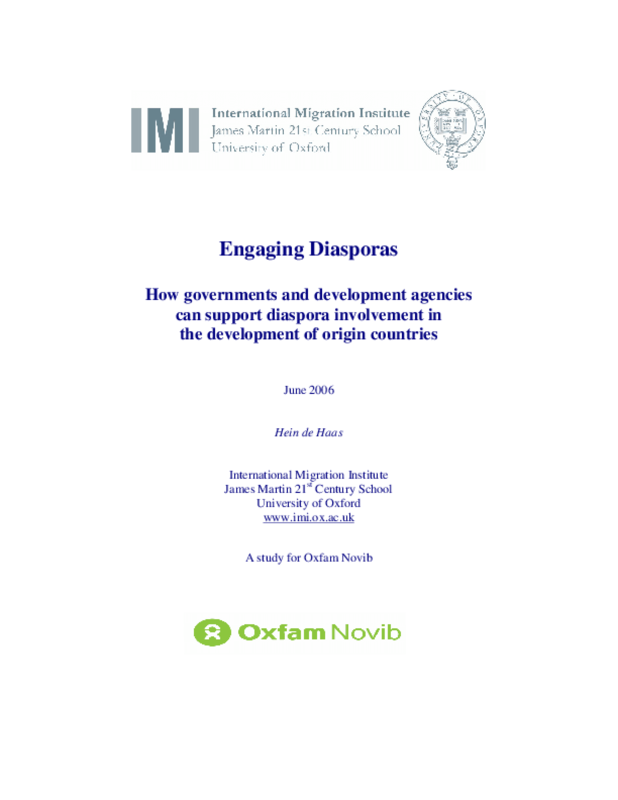 This study analyses how governments and development agencies have implemented "migrants and development" policies over the past three decades to promote the engagement of diasporas and their members in the development of countries of origin. It focuses specifically on the Netherlands, the United Kingdom and France, but also considers Belgium, Germany, Italy and Spain. The author concludes that in general, it would be a mistake to assume that diaspora groups and their members should be taught how to "do" development or how best to spend their remittances. Diaspora organisations have survived independently for many years; any attempt to patronise or to state "what is best for them" would appear to be a recipe for failure. The challenge for development actors is not to make diaspora organisations more like them, but to build on their unique strengths. Copyright 2006 Hein de Haas.